Fun, fun, functional! 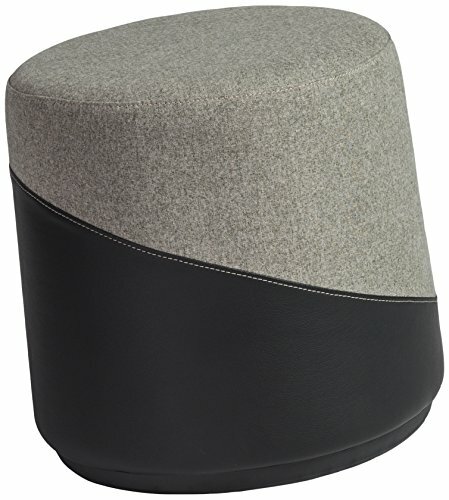 Kestrel Balance Stools sport a comfy upholstered seat on top of a sturdy base meant to keep you rocking and rolling. The nylon and TPU base is specially designed to mimic the dynamic movement of a balance ball chair in a smaller footprint with more stylish aesthetics. As perfect for meeting rooms or multi-use spaces as your living room or home office. Easy to maintain and durable leatherette topped with synthetic fabric in five fun colors. Stay engaged on the Kestrel Balance Stool. If you have any questions about this product by Euro Style, contact us by completing and submitting the form below. If you are looking for a specif part number, please include it with your message.